Thank you for your interest in supporting the Wornick Jewish Day School! Every student’s educational experience here is enriched by a tradition of giving. The expertise, time and resources of alumni, parents, grandparents, trustees, faculty, staff and friends of Wornick are investments in our students as agents of action and change in a world that needs them. Meaningful contributions from each community member make an impact. Your gift ensures that more students can have access to the opportunities available through a Wornick education; your gift ensures that these opportunities remain distinctive and powerful. 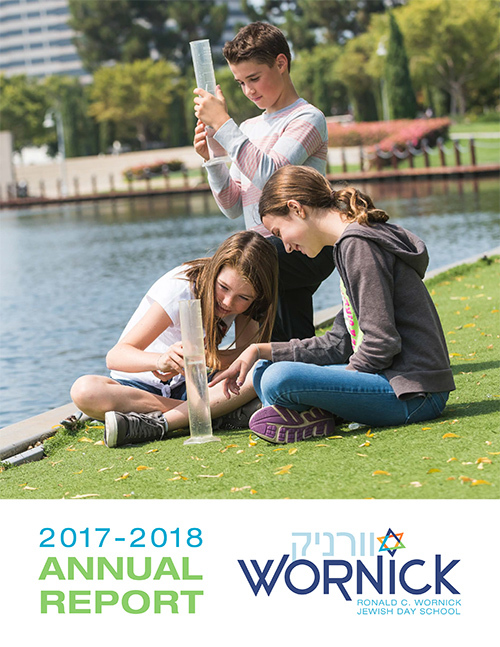 We are grateful that you are part of the Wornick community. There are many ways you can contribute, and we hope you will contact the Development Office at development@wornickjds.org or 650-378-2629 for more information.